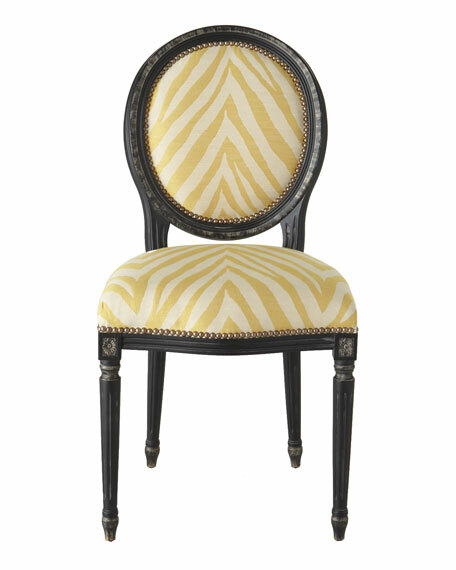 Exotic upholstery encased in dark wood makes this chair a striking addition to any living space. Handcrafted of maple with rayon/linen upholstery. 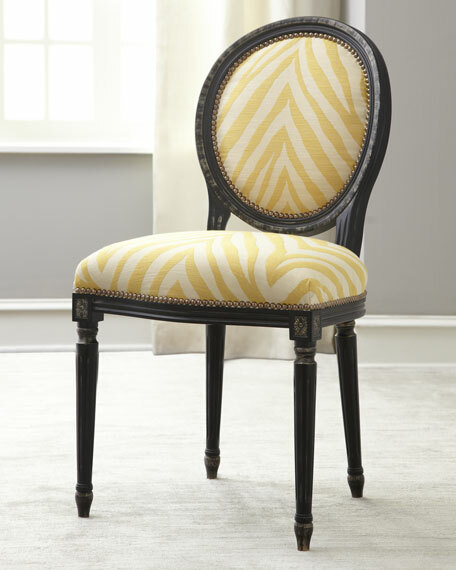 22.5"W x 22"D x 38"T; seat, 20"T.
Please note that this item may require additional delivery and processing charges.